Paramount to population health management success under risk-based contracts is strategic oversight of the ‘rising risk’—individuals with two or more unmanaged health conditions. One quarter of respondents to the 2016 Population Health Management survey by the Healthcare Intelligence Network zero in on their own 'rising risk' populations. By focusing chiefly on moving high-risk patients down to the low-risk band, population health management programs are in danger of missing the “natural inertia” driving low-risk patients right back into that high-risk stratum, cautions Dr. Adrian Zai, clinical director of population informatics at Massachusetts General Hospital (MGH). Dr. Zai describes why MGH, ranked the number one hospital in the nation by U.S. News & World Report,® advocates a multi-pronged approach addressing both low-risk and rising risk patients—a strategy that has improved MGH care quality and provider performance while reducing high-cost healthcare utilization. 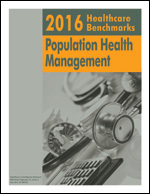 More information on this topic can be found in: 2016 Healthcare Benchmarks: Population Health Management, which drills down on the latest population health management (PHM) trends, including the prevalence of PHM initiatives, program components, targeted conditions, PHM care team members, challenges and ROI.